Brand-new panel design, which suits different requirements. It's mostly used for office, shopping centers, restaurants, meeting rooms etc. Ultra-thin body design. The min. height is only 230mm, saving a lot of installation space. 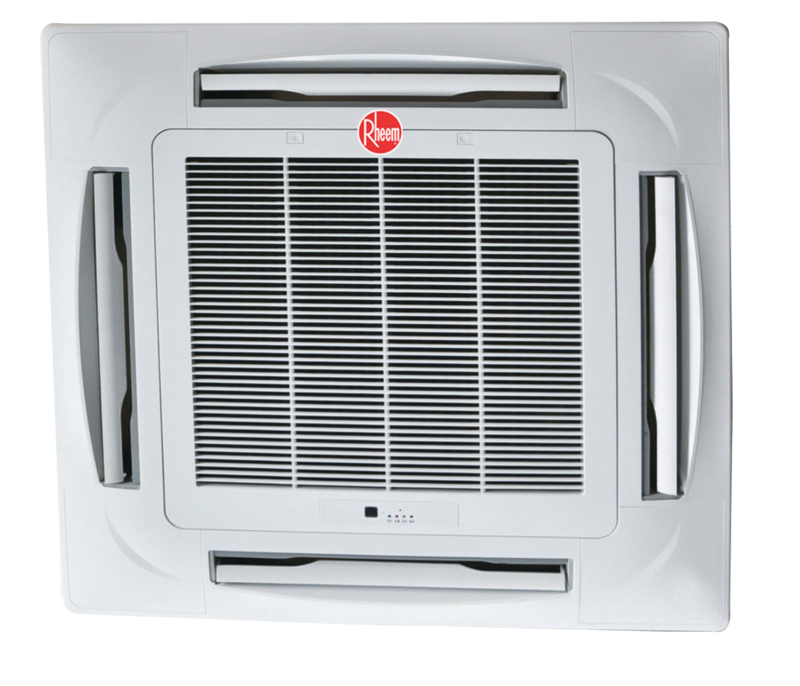 4-way air flow, so that cold air can reach every corner of the room providing a stable and comfortable environment. Intelligent auto-swing function which has three modes to choose from. Engery saving and healthy hydrophilic alumimum fins increase heat-exchange efficiency. Integrated electric control box, has a fire resistance design. The E-box with galvanized steel built-in body is easy for maintenance. Easy and convenient installation and maintenance with a washable filter design. In case of power shutdown, Auto Restart feature allows for automatic restart with the previous settings when power resumes.